Nggak terasa waktunya untuk KBB lagi, udah yang ke 24. Wow, eh tapi tanpa event spt KBB rasanya kok ini blog nggak keisi2 ya…duh. Anyway ini baru pertama kali bikin pie, kupikir ngaduk adonan pienya musti manual ternyata nggak juga, bisa pake FP, YAY! Walaupun sesudah diaduk di FP dan didinginkan di kulkas 30 menit kok tetep ambrol adonan kulit pienya. Ya sudahlah tetep bisa dicetak kok. Karena nggak punya cetakan pie aku pakai cetakan pie kertas sekali pakai dan berhasil juga. Filling coklatnya bikinnya gampang, tinggal aduk dan tuang, aku ngovennya juga nggak lama-lama banget supaya fillingnya nggak kering dan tetep basah-basah. Rasa pienya wow legit banget, nyoklat banget, makannya musti sedikit-sedikit loh. All in all senang udah belajar bikin pie. Kalau nggak karena KBB, nggak mungkin deh. Since I joined an online Indonesian baking club KBB (klub berani baking) and they happened to have a bbg (blackberry group), words spread fast which and which recipe you should try. 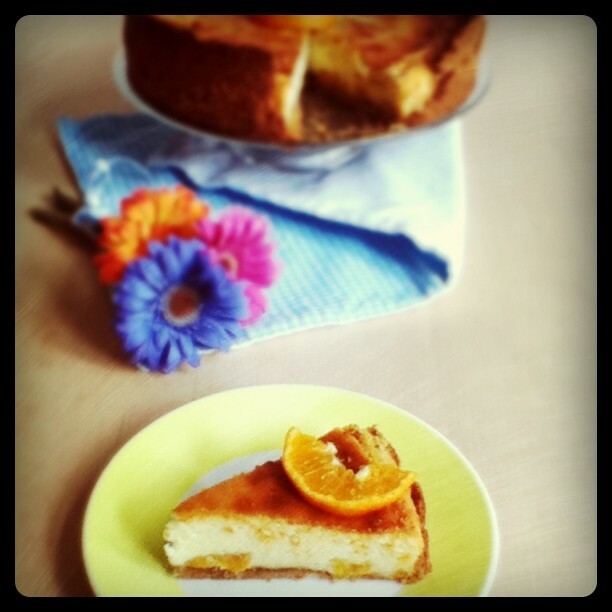 And since drooling over other member’s baking photo was not enough we had to try for ourselves. 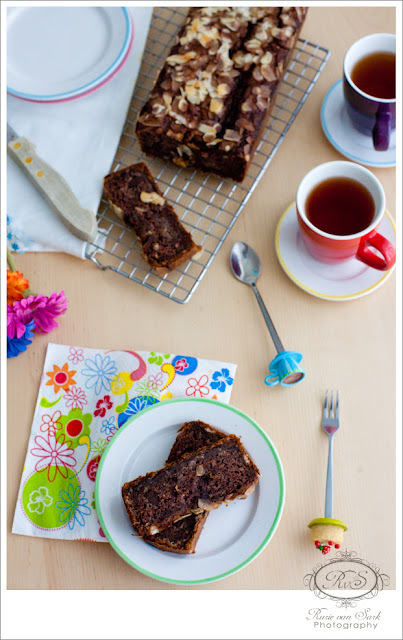 This banana bread came from Elsye, she ‘promoted’ the recipe with being dead easy, quick but yet delish. I tried it the other day when I needed a quick baking fix to ease my mind over overloaded work. And boy she was right, it was easy peasy, even no mixer was needed and most importantly delicious. I reckon you should try it as well. 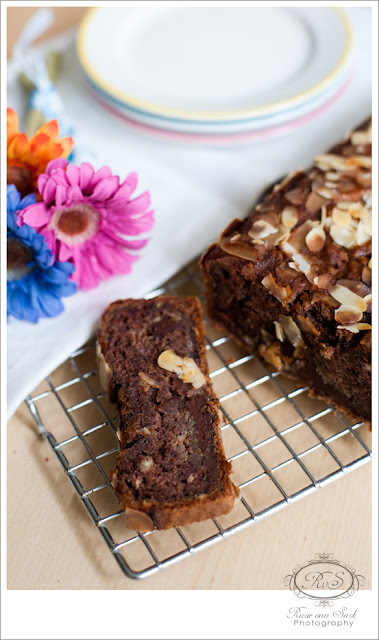 I added 1/2 cup of chopped dark chocolate and spread almond slices on the surface. Hampir, HAMPIR aja kelewatan ikutan KBB bulan ini. Dikarenakan ujian akhir semester di sekolah yang udah di depan mata banget plus pursuing jadi photographer full time itu memang kerjaan full time banget. Anyway lupakan sejenak itu semua dan marilah kita nikmati lemon cheesecake yang super duper enyaks ini. Bikinnya sih nggak susah-susah banget secara aku juga suka bikin cheesecake tapiiii crustnya ini yg rada susah karena musti sampai ke sisi-sisinya, biasanya sih aku bikin cuma alasnya aja. Yuuk yuuk kita nikmati cheesecakenya. Panaskan oven 170C. Siapkan loyang ukuran 23cm, olesi dasar dan sisi2 loyang dengan mentega leleh. Alasi dasar loyang dengan baking paper, lalu olesi mentega leleh. Panasi port, orange juice, dan sultanas di dalam panci selama 5 menit. Angkat dari api, tutup dan biarkan selama 15 menit. Crust: panaskan mentega hingga leleh, masukkan kacang2an, semua gula dan rempah-rempah; aduk rata. Letakkan di dasar dan sisi loyang, tekan-tekan supaya padat dan melekat. Kocok mascarpone dan ricotta hingga lembut, lalu masukkan gula, kuning telur dan parutan kulit jeruk, lalu masukkan tepung, aduk hingga rata dan lembut. 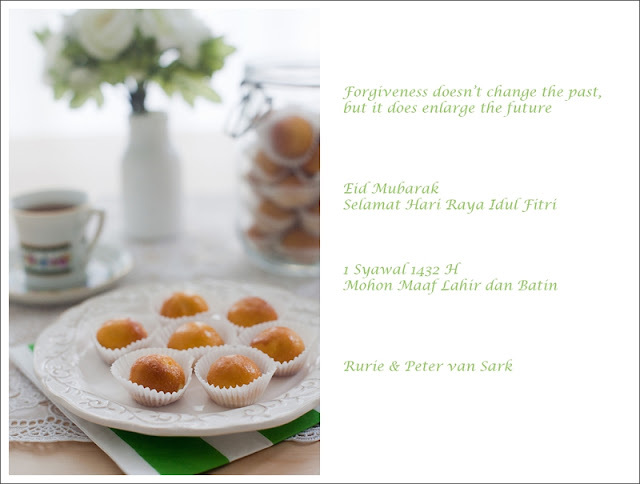 Masukkan campuran sultanas-port-orange juice dan apricots. Kocok putih telur di dalam mangkuk yang bersih dan bebas lemak hingga soft peaks. Masukkan putih telur kocok ke dalam campuran keju. 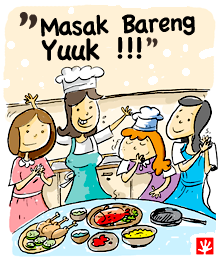 Tuang ke dalam loyang, ratakan permukaannya. Letakkan loyang ke atas loyang oven/loyang biscuit (oven tray/baking tray), panggang selama 1 jam, atau hingga permukaan cheesecake set tengah2nya dan berwarna emas kecoklatan di sekelilingnya. Matikan oven. Biarkan cheesecake di dalam oven dengan pintu dibuka sedikit selama 50-60 menit. 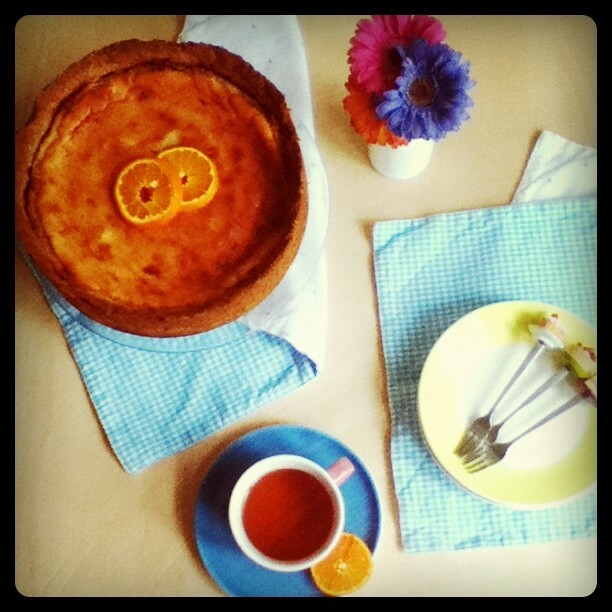 Keluarkan cheesecake dari oven. Gunakan pisau tumpul secara perlahan ke sekeliling cheesecake, lalu biarkan hingga betul2 dingin. Keluarkan cheesecake dari loyang dan dinginkan dalam kulkas selama 2 jam sebelum disajikan. Tips: olesi mentega leleh ke sekeliling loyang agak tebal sehingga crust kacang akan terbalut secara merata. PS: Ini blogpost kenapa tiba-tiba berbahasa Indonesia? Ya kan ceritanya lagi buru-buru dan malas terjemahin. Yang perlu in English ayo ayo dibuka google translatornya. Another cupcake to complement the red velvet cupcake from last week’s post. 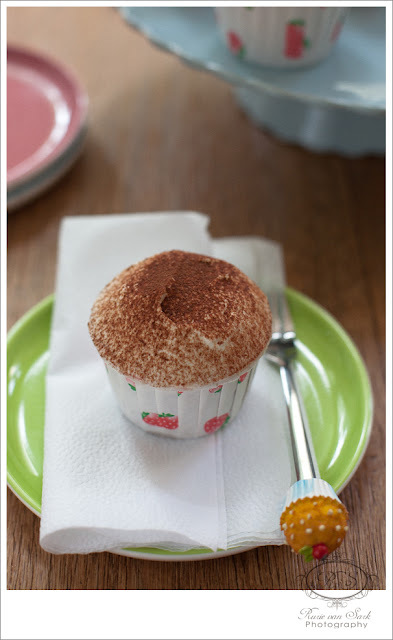 Since I coulnd’t find tiramisu cupcake’s recipe from Hummingbird, I mix and match two recipes. The cupcake base was using vanilla cupcake recipe from Hummingbird while coffee syrup and mascarpone frosting were using Martha Stewart’s recipe. Now here is the recipe. -Preheat the oven to 170C/325F/ Gas 3. -Put the flour, sugar, baking powder, salt and butter in a freestanding electric mixer with a paddle attachment (or use a handheld electric whisk) and beat on slow speed until you get a sandy consistency and everything is combined. -Gradually pour in half the milk and beat until the milk is just incorporated. -Whisk the egg, vanilla extract and remaining milk together in a separate bowl for a few seconds, then pour into the flour mixture and continue beating until just incorporated (scrape any unmixed ingredients from the side of the bowl with a rubber spatula). -Continue mixing for a couple more minutes until the mixture is smooth. -Spoon the mixture into the paper cases until two-thirds full and bake in the preheated oven for 20-25 minutes, or until light golden and the sponge bounces back when touched. -A skewer inserted in the centre should come out clean. -Leave the cupcakes to cool slightly in the tray before turning out onto a wire cooling rack to cool completely. 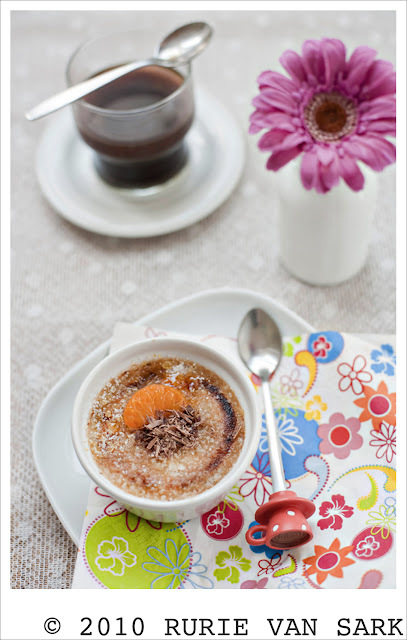 – Stir together coffee, marsala, and sugar until sugar is dissolved. Let cool. – With an electric mixer on medium speed, whisk heavy cream until stiff peaks form (be careful not to overbeat, or cream will be grainy). 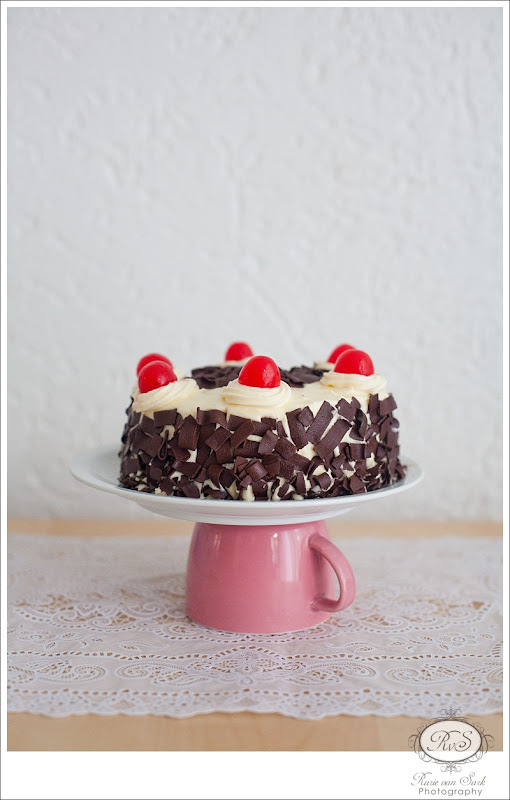 – In another bowl, whisk together mascarpone and confectioners’ sugar until smooth. 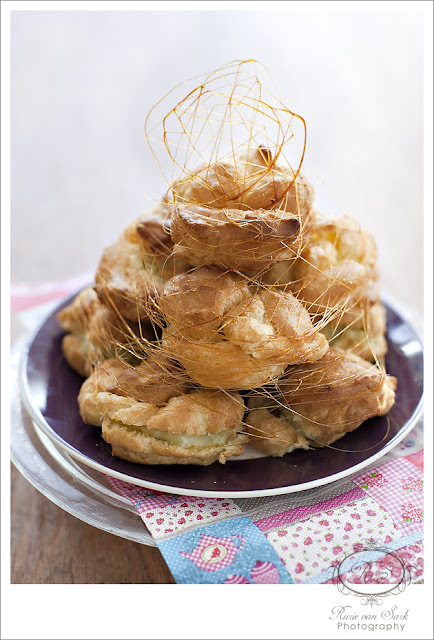 -Gently fold whipped cream into mascarpone mixture until completely incorporated. Use immediately. – Poke the cupcakes with a fork until it forms holes, pour coffee marsala syrup over the cupcake, repeat until coffee syrup is finished. 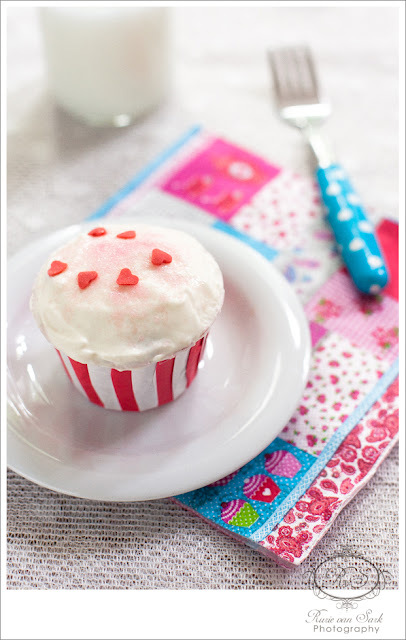 – If you like you could make a small hole in the centre of the cupcake and fill that with mascarpone frosting. 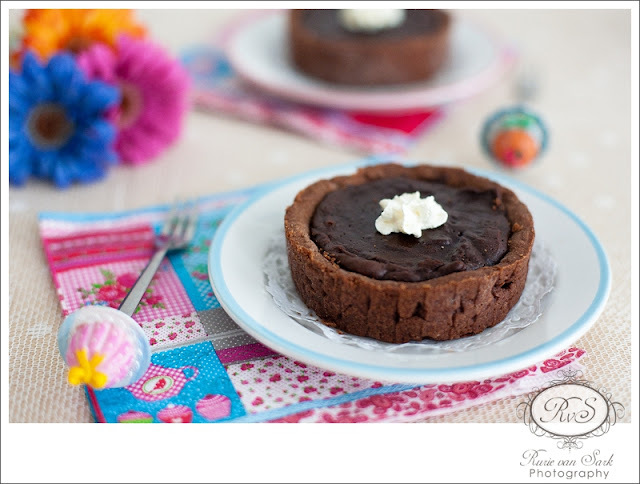 – Frost with the mascarpone frosting and decorate with cocoa powder. – Best eaten after being cooled for overnight in the fridge. For more story and photos do “>visit my photography blog. If you would like to read more story on this red velvet cupcake, do visit my photoblog here. – Beat butter and the sugar on medium speed until light and fluffy and well mixed. 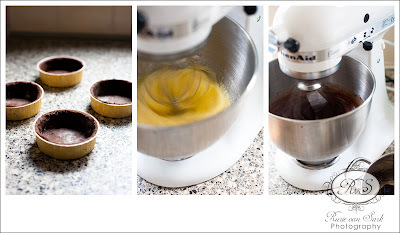 – Turn the mixer up to high speed, slowly add the egg and beat until everything is well incorporated. – In a separate bowl, mix together the cocoa powder, red food colouring and vanilla extra ct to make a very thick, dark paste. Add to the butter mixture and mix thoroughly until evenly combined and coloured (scrape any unmixed ingredients from the side of the bowl with a rubber spatula). – Turn the mixer up to slow speed, slowly pour in half the buttermilk. 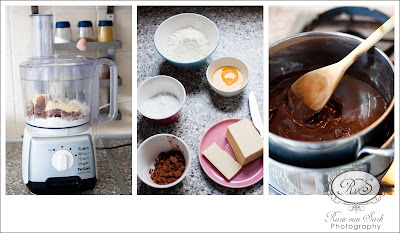 – Beat until well mixed, then add half the flour and beat until everything is well incorporated. Repeat this process until all the buttermilk and flour have been added. Scrape down the side of the bowl again. – Turn the mixer up to high speed and beat until you have a smooth, even mixture. – Turn the mixer down to low speed and add the bicarbonate of soda and vinegar. Beat until well mixed, then turn up the speed again and beat for a couple more minutes. 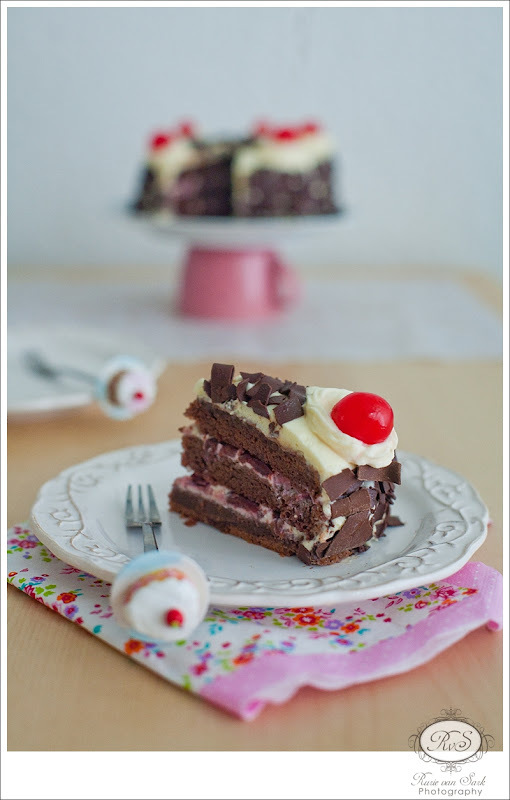 – Pour into a lightly greased 6″ cake tin. – Bake for about 40 mins or until done. Check for doneness by inserting a toothpick in t he middle, should come out clean if done. – Leave to cool slightly in the tin before turning out onto a wire cooling rack to cool completely. – Beat the icing sugar and butter together on medium-slow speed until the mixture comes to gether and is well mixed. – Add the cream cheese in one go and beat until it is completely incorporated. – Turn the mixer up to medium-high speed. Continue beating until the frosting is light and fluffy (at least five minutes). Do not overbeat, as it can quickly become runny. – Heat sugar with water in a sauce pan in a lowest fire possible, use the smallest hob you have. – Heat through until caramelized, take off from the fire and let it cool down for some minutes. – Take two chopsticks, sticks your caramel on the edge. 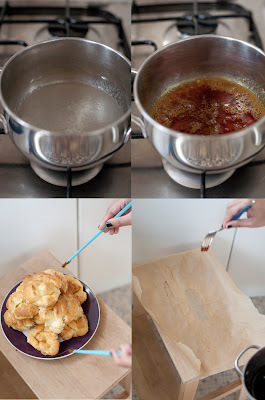 Stick the two chopsticks together and take them apart from each other, by now your spun sugar should be ready to be rolled around your choux pastry. – Repeat until you are satisfied with the result. 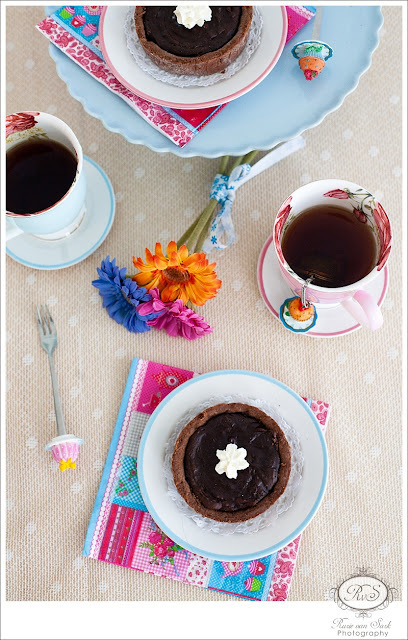 – For the top decoration, lay a piece of baking paper on the counter, use a fork/spoon to make pattern of your choice. – Let it cool for couple of minutes and ready to be used. Me and hubby were literally fighting over the last bit of this dessert because it was SO GOOD! There I said it with capital letters. It was velvetty chocolatty (does this word exist?) without being over powered, perfect dessert. If I got no competition I bet I would gobble it all by myself. 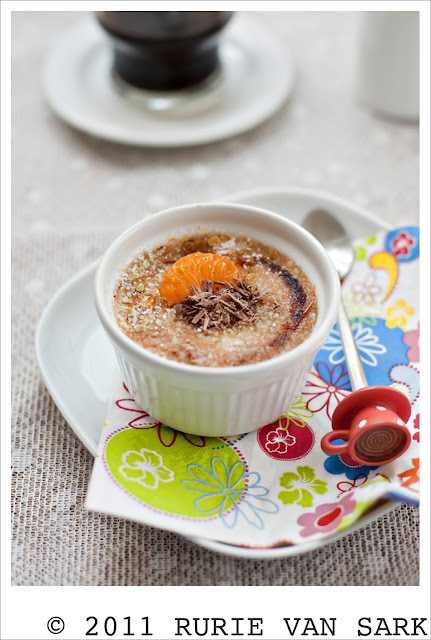 Having said that I never made creme brulee before because I thought it would be so darn difficult. It turned out not at all! Ah this is why I love love my KBB, the group has challenged it’s member in every aspect of baking we didn’t know we could. – Score the vanilla pods lengthwise and run the knife up the pod to remove the vanilla seeds. Scrape these into the pan with the pods, cream and milk and slowly bring to the boil. – Meanwhile beat together the yolks and the sugar in a bowl until light and fluffy. When the cream and milk are just boiling, remove the vanilla pods and add little by little to the egg mixture, (add the melted milk chocolate also at this point) whisking continuously. I like to remove any bubbles or froth from the mixture before dividing it into the serving dishes, on top of the rhubarb. – Stand these in an appropriately sized roasting tray filled with water half way up the containers, and bake in the pre-heated oven for around 25 minutes until the custard mixture has set but is still slightly wobbly in the centre. – Allow to cool to room temperature then place in the fridge until ready to serve. Sprinkle with sugar and caramelize under a very hot grill or using a kitchen blowtorch. Lovely. I made this for Christmas lunch dessert, it was easy (remember easy is my middle name) but with a stunning result as if you spent a lot of time on it. Well actually what I needed to do was peel the pears and boil them with the rest of ingredients for couple of hours. Halve the vanilla pod lengthways, scrape out the black seeds and put in a large saucepan with the wine, sugar, cinnamon and thyme. Cut each piece of pod into three long thin strips, add to pan, then lower in the pears. Poach the pears, covered, for 20-30 mins, making sure they are covered in the wine. The cooking time will very much depend on the ripeness of your pears – they should be tender all the way through when pierced with a cocktail stick. You can make these up to 2 days ahead and chill. Take the pears from the pan, then boil the liquid to reduce it by half so that it’s syrupy (I didn’t do this I actually like the syrupy part). 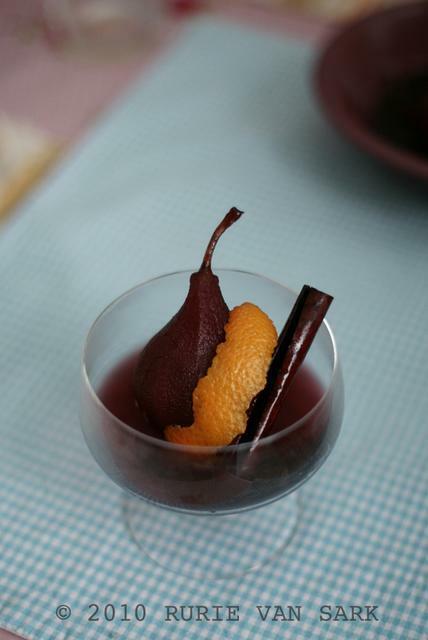 Serve each pear with the cooled syrup, a strip of vanilla, a piece of cinnamon and a small thyme sprig.